We were all able to let go of life’s hustle-bustle and relax for three days. We stayed up late and slept in even later. We feasted on eggplant and zucchini lasagna, chilaquiles, and tortes made together at home, then dined by the river side in the shade of willowy trees. I helped make granola for the first time and later smiled watching the girls bake cookies while singing a Venezuelan love song. Walking around the neighborhood, we kept track of the number of squirrels, birds, butterflies, dogs, and different states license plates. 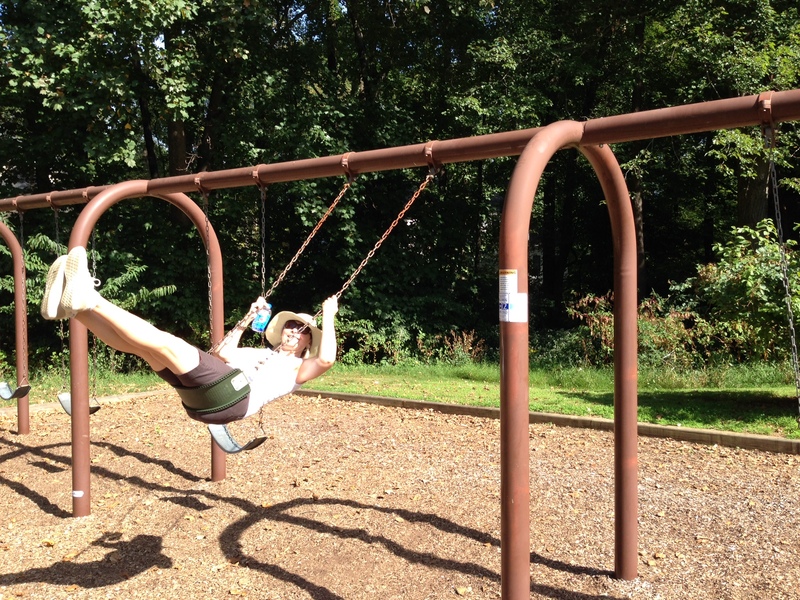 At the park, I ran for the swing and floated high in the sky as if I were a little girl again. We jiggled on the wobble ride to the Beach Boys’ Fun, fun, fun song. We meditated, contemplated new opportunities, and focused on the importance of mindfulness. It was refreshing to just enjoy simple pleasures of life. This entry was posted in Heartwarming and tagged family time, friends, meditation, mindulness, simple pleasures by Michelle. Bookmark the permalink. Love how beautifully you took us through your weekend….felt the relaxed, lighthearted and fun way of being!!!! Thank you! Thank you Gabi! Glad you appreciated these carefree moments. You are such a gifted writer. I thoroughly enjoyed this colorful story. Brava!